Bhubaneswar: In call by the Utkal University Teachers’ Association (UUTA), faculties of the university are into a prolonged protest against the apathy of the university administration and the State Higher Education Department from 10th July onwards. The demands include immediate implementation of Career Advancement Scheme (CAS), immediate repair of residential quarters, confirmation of faculty members, advance increment for M.Phil/Ph.D holders, redesignation of Readers, recruitment of Non-Teaching staff, NPS arrears and insurance schemes among other demands. The university administration is well known for its casual approach towards the issues for which rules are already framed long back by UGC and other regulatory bodies. Responding to this call by UUTA, hundreds of faculty members of the university performed their duties while wearing a black badge on 10th July 2018. It is worthwhile to note that under the career advancement scheme (CAS), although there are clear cut provisions for upgradation of teachers after fulfilment of certain norms and conditions, teachers had to wait for decades to get promoted. While the UGC regulations 2010 made it very clear that the university admission has to complete the process of scrutiny and interview within six months of application, a faculty from the Department of Mathematics whose promotion was due in 2013, appeared for interview on 28th February 2018, the day of her retirement, after a lot of personal struggle and intervention by the UUTA members. Another senior faculty member got retired in June 2018 waiting for the interview for promotion. Around hundred faculty members are waiting for their confirmation after years of completion of their probation period. Most of the administrative units of the university including critical sections related to examination are running with one or two non teaching employees. This not only results in a delay in usual activities, the authorities shamelessly involve faculty members in administrative activities to the extent that their academic works hamper. On average, faculty members perform around 50 hours per week in administrative responsibilities and only around 8-9 hours per week in actual academic work. Even if faculties forego a substantial part of their income towards house rent, the residential quarters are in dilapidated conditions deprived of regular repair for decades. 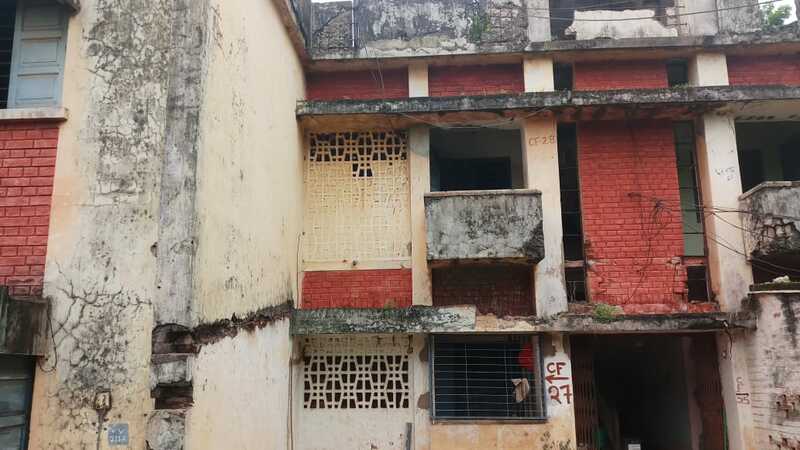 Most of the faculty quarters which is currently used as residence become dangerous with intrusion of serpents, and electrocuted walls during rainy seasons. Sever lines are choked, colony roads are in pathetic conditions with damaged roads and without streetlights. On the other hand the university pays a huge amount of money towards water and electricity charges which are actually used by encroachers in and around the university campus. It is noteworthy to mention that over the years, 11 slums have been established in and around the campus with the tacit support of the local politicians. 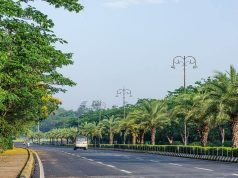 Residential areas, including the area in front of the Vice Chancellor residence become meeting hubs for romantic couples, mostly outsiders and at the day break, university roads especially those in the residential areas become dangerous with the movement anti -social elements, drug peddlers and thugs. There had been many instances of chain snatching in recent months. Although UGC had already abolished the post of reader and have laid down clear cut redesignation rules, the university, bypassing all rules of the UGC keeps on lingering the redesignation issue. The Utkal University Teachers’ Association had been vocal on all these issues and had submitted a memorandum to the authorities on 3rd March 2018. Although the Vice Chancellor had promised to look into the matter and do the needful before the end of the vacations, no substantial progress was made on these fronts. On 3rd June, the Members of UUTA submitted an ultimatum to the authorities and called for a protest against the administration. As per the programme, the faculties will protest against the administration wearing black badge while on duty between 10th and 16th July 2018. Between 17th till 22nd July the faculty members under the leadership of UUTA will congregate peacefully in front of the administrative block for an hour every day. From 23rd till 30th August, teachers will go for relay dharna in front of the administrative block and from 1st August onwards, UUTA has called for a relay hunger strike followed by an indefinite hunger strike. 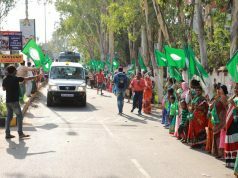 In his communication with the general body, UUTA Secretary Prof. Kunja Behari Panda has asserted that UUTA will not tolerate the apathy of the university administration anymore and would appeal the teaching community of all the universities of Odisha to join hands with the struggle of the Utkal teachers. On 8th July, the President of UUTA and the Convenor of the Federation of University Teachers Association (FOUTA), Prof Santosh K. Tripathy also lamented on the apathy of the university and the government in a press conference called for the implementation of the 7th Pay Revision Commission and called for an all Odisha protest by the university teachers in coming days.